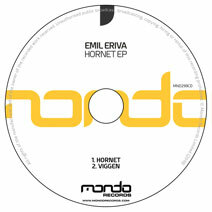 We launch into the new year with a brand new face to the label in the form of Emil Eriva, who delivers his maiden 'Hornet' EP. First up, the rather tasty 'Hornet' which delivers a killer hit of deep vibes with progressive overtones. We love the simple and laid back melody, which together with the groove and bass causes the desired effect. Huge! Next up is 'Viggen' which is another lush progressive number, packed with a lush, feel good vibe throughout and we particularly love that summer inspired melody and those warped notes too. Two huge scorchers here to open our 2019 journey - do no miss these!